Having established a solid reputation within the North Oxfordshire business community, the awards serve to showcase and celebrate the capabilities of individuals and organisations working within the Cherwell District. A launch event was held on Thursday 16th November at Norbar Torque Tools Ltd on Wildmere Road, Banbury, where members of the local business community from Banbury, Bicester, Kidlington and the surrounds gathered to hear details of the 2018 awards. 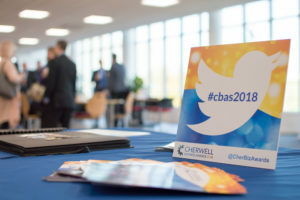 A newly developed website for the 2018 Cherwell Business Awards means nominations and applications can be quickly and easily done online, which the organisers hope will encourage even more entries than in previous years. Attendees at the Launch had the opportunity to meet the Awards’ sponsors and some of the winners and shortlisted finalists from previous years. Speakers included Catherine Rohll, Commercial Director at Norbar Torque Tools, as well as Cllr Lynn Pratt from Cherwell District Council; this year’s Headline Sponsor. 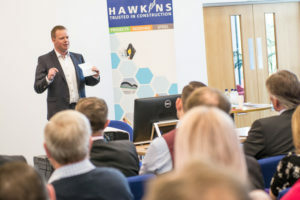 Mike Hawkins, who is Managing Director of the Hawkins Group, spoke about what it means to be a winner, not only of the Cherwell Business Awards, but also how Hawkins Group went on to be Triple Award Winners at the Oxfordshire Business Awards in 2017. The Norbar – Overall Cherwell Winner Award is chosen from the finalists of any of the other 8 categories. The deadline for applications is the 16th February 2018 and winners will be announced at the prestigious Awards Gala Dinner to be held at Heythrop Park on Friday 11th May 2018.